Want to be a designer? Be one. This year marks a 10-year anniversary since I’ve started working professionally as a graphic designer and front-end developer, yet I’m not formally trained in either of the two fields. I actually went to college to study linguistics. I figured this is a perfect time to share some of my experiences and ideas; things that might be interesting and helpful for young people who are looking for a career path in design or people who perhaps want to branch out. You might be thinking “Well, I have no artistic skills, how can I be a designer?”. You don’t need to be artistically inclined to be a good designer. 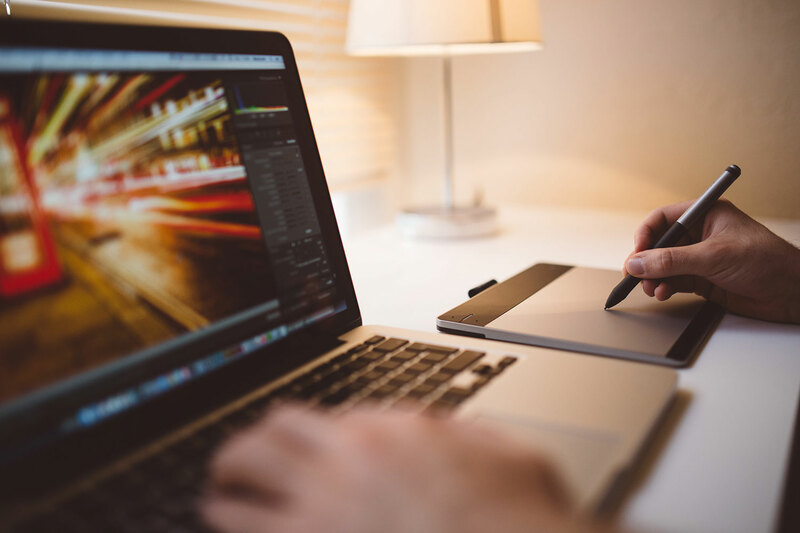 While graphic design is by no means science per se, it is still governed by a set of rules – rules which you can learn and employ. Design can be measured by how “effective” it is. Now while art is very much subjective, personal and expressive in nature, design is somewhat more agnostic to people exposed to it, because unlike art, design serves a very specific purpose. At its basis design is an interpretation of a message and therefore it serves as solution to a problem so it can be “measured” by how effective it is. You can make it effective. But I need you to know something. If you think this is an easy and pleasant job and you’ll be a rockstar who works with big brands, for big money, think again. Being a graphic designer might mean stress, long hours, working with unreasonable people, trying to meet unreasonable deadlines. But it is also immensely satisfying, rewarding and fulfilling. Just a fair warning. My love for design (and art) came from my dad, who is an architect and a fantastic painter. I watched my father work, or I’d ask him to draw something for me I would later colour. Those childhood experiences gave me a passion for the process and appreciation for the work involved. Then video games got me interested in the digital side of design. I started by recreating Worms levels in Microsoft Paint and from there moved to a trial version of PS 4.0 I got with a book. Designers like electricians or plumbers cannot work without their tools. Designers like electricians or plumbers cannot work without their tools and knowing those tools well is the first step. My suggestion is to download a trial version of Photoshop, Illustrator, 3D Studio Max or whatever piques your interest and just goof around with the interface. Try things. I think that his method of natural discovery will let you work with the your tools outside of certain templates in the future. Photoshop with all its tools can be scary when you start working with it. 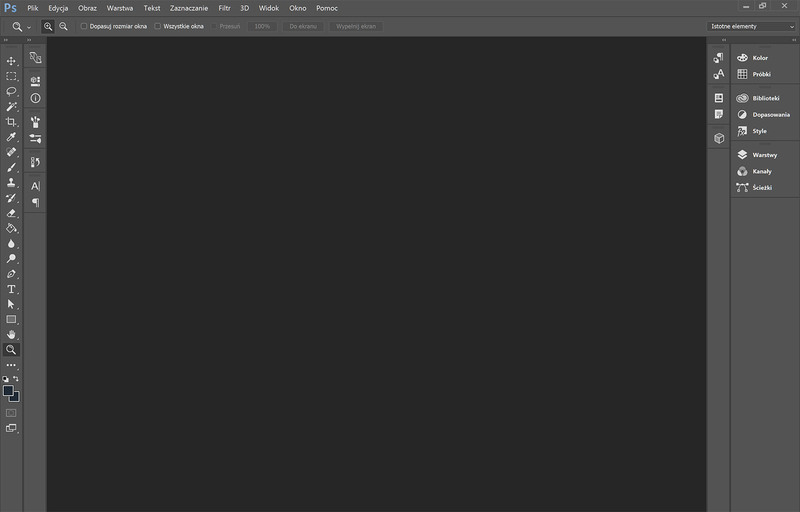 Opening a program like Photoshop with a blank page can be intimidating. Think of something you want to learn, then learn it. Then learn something else. It can be as simple as a putting text on the page and creating a layer mask. Design does not happen in a vacuum. When you have the basic functionality down it’s then time to read books or online tutorials and expand your knowledge about the software you’ll be using. You might start with a book or an online class of course, but they tend to teach you things in a very specific way and you might commit to using certain tools and patterns that could limit you. Knowing your tools well will prevent you battling your software to make a visual representation of your ideas. It takes time to know the tools at your disposal, but it’s time well invested. Having a solid understanding of your tools will allow your mind to think freely while you hands translate the thoughts. Also, don’t stop with just one piece of software either – learn to use more things. Expand your toolset. Tutorials and books can only get you so far. Much of your knowledge will come from discovery. Interactions between tools, solutions to problems and methods of achieving certain effects – a lot of that you’ll need to learn by yourself. But don’t be intimidated. You need to understand, that even a veteran designer’s work involves a lot of trial and error and you rarely achieve the desired results on your first try. A designer’s work often involves trial and error. A lot of techniques and styles are developed through experimentation and it’s a very fun process. You never fully know what you’ll end up with when trying new things, but when you’re done you’re richer with that knowledge. This is something that I think is very important but I rarely see mentioned. The world of graphic design is a very competitive environment, so every additional skill will help you “survive”. Not only that, but all that extra knowledge can help you become a better designer as well. You want to be a web designer? Learn the basics of HTML and CSS. It will help you to better understand the flow of a web document and the limitations of CSS styling. Want to design mobile apps? Learn the principles of animation. It will give you insight on the perception of motion and will help you create better feedback for users. Want to get into interactive design? Learn some psychology to be able to influence the mood and focus of your users. You’ll find, that many skills you possess will help you with design. Some combinations with design that might feel outlandish at first can turn into something very beneficial. I studied linguistics and you might think that it’s not related to design, but if you think about it, design in itself is a form of language and my knowledge of certain aspects of linguistics helps me to communicate ideas and notions through design.